Big size hard cover book, numbered and signed, b&w printing, delivered with 1 numbered & signed serigraph. 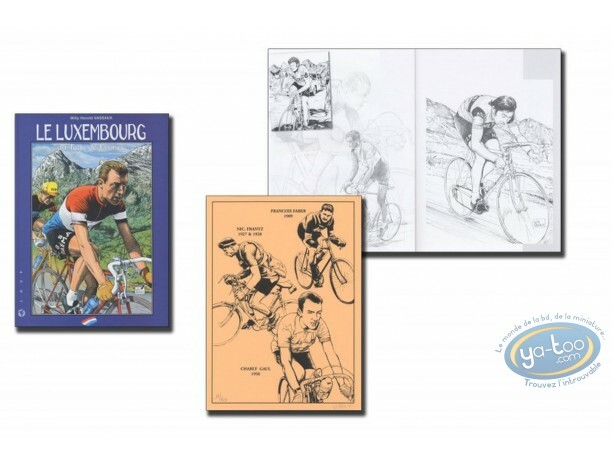 This edition is limited to 60 copies and since the serigraph is slightly bigger than the book, it has little marks. With this product, you earn 49 loyalty point(s). 49 points = €0.49. 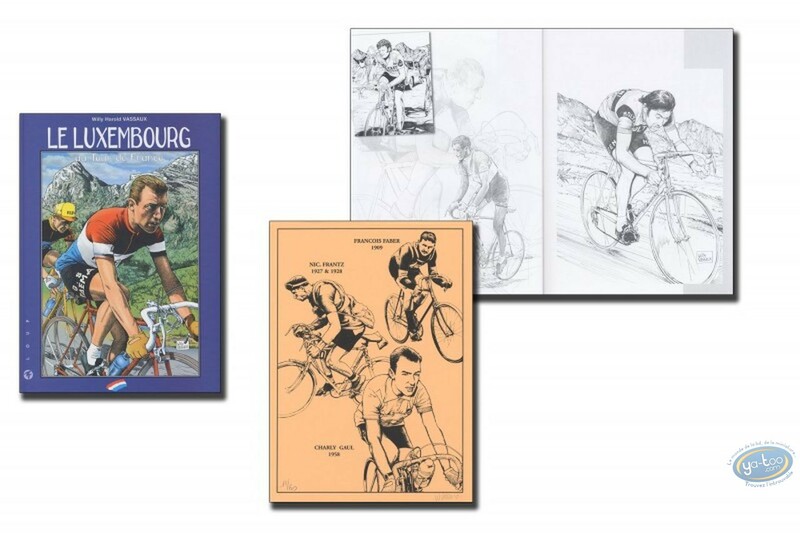 Big size format album based on the history of the exploits of Luxemburg cyclists at the Tour de France (including Faber, Frantz and Gaul).